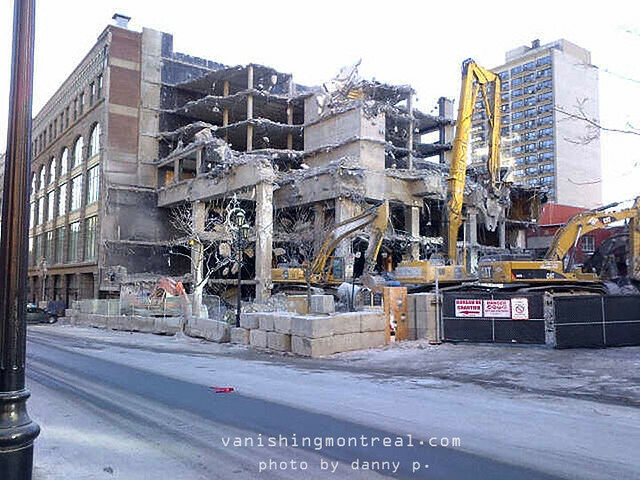 Danny sent me this update on the Hotel de la Montagne demolition. It's now history. Thanks Danny. Danny m'a envoyé cette photo de la démolition Hôtel de la Montagne. C'est la fin. Merci Danny. Such sadness - attended a wedding here in 1997, and have such happy memories of the beautiful hotel, and the lovely bride, who sadly passed away the other day. Bless!